I adapted the recipe for this lovely Greek Easter bread, Tsoureki, from Anissa Helou’s wonderful book, Savory Baking from the Mediterranean. 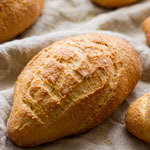 Helou suggests that if you cannot find mahlep, the spice that traditionally scents these soft, rich loaves, you can leave it out. This would, however, be a most unhappy omission, and if you take my word and try it, you’ll know why. Mahlep (variously know as mahlepi, mahleb, mahlab) is common in Greek and Middle Eastern baking. Made from the kernels of wild cherry pits, it tastes bitter on its own, but lends the bread a delightful, delicately sweet, nutty, cherry-almond fragrance. 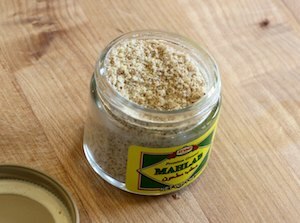 I found the spice in my neighborhood Middle Eastern market, but it’s readily available online. 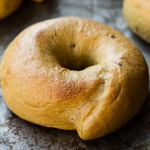 As with most doughs that have significant amounts of sugar and butter, I added the sugar in increments and the butter at the end, to prevent them from interfering with gluten development. You’ll see other mixing methods, but this is the one that works for me, so I’m sticking with it. Two round coiled braided loaves just fit onto a half sheet pan (13 x 18 inches). If you have smaller pans, you’ll need two. 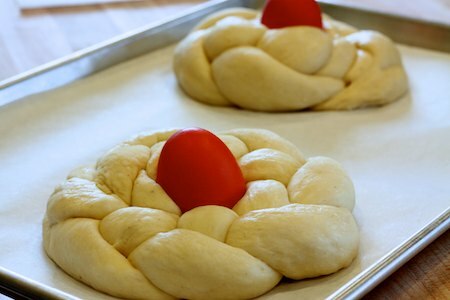 You could also leave the braided loaves uncoiled. 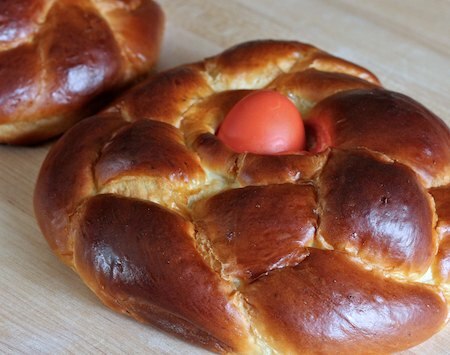 Red-dyed eggs traditionally adorn tsoureki. I used gel food coloring to color mine. Although it’s not obvious in the photo, the color bled and left a splotch of red on the dough surrounding each egg. If anyone has a suggestion for preventing this, please speak up! I’m sending this mahlep-scented bread to Haalo (Cook Almost Anything) for Weekend Herb Blogging, the weekly event dedicated to cooking with plant ingredients. Happy Easter and happy baking! Warm the water and milk to lukewarm. Add them to the sponge flour and yeast in the bowl of a stand mixer. Stir to combine, cover, and ferment for one hour, or until doubled in volume. To the sponge n the mixer bowl, add the final dough flour, salt, mahlab, cardamom, eggs, and olive oil. Mix in low speed to combine the ingredients. The dough will be stiff. Continue mixing in medium speed for a few minutes. Then add the sugar in four or five increments, mixing for about 2 minutes after each addition. Continue mixing in medium speed until the gluten reaches full development. With the mixer on low speed, add the butter all at once. Mix for a minute or so in low speed, then in medium speed until the butter is completely incorporated into the dough (this will take several minutes). Transfer the dough to a lightly buttered container. Cover and ferment for two hours, with a fold after the first hour. Turn the dough into a lightly floured counter. Divide into six pieces (three for each loaf). Preshape it into cylinders and let rest, covered, for 10 minutes. Roll each dough cylinder into a rope about 12 or 14 inches long. For each loaf, braid three pieces together, then form the braid into a round or spiral. Do not leave a hole in the center of the loaf. 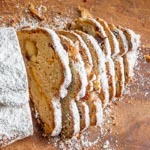 Place the loaves onto one or two sheet pans lined with parchment paper. Press a red egg into the center of each loaf. Make an egg wash by beating one whole egg with a teaspoon of water and a pinch of salt. Lightly brush the shaped loaves with the egg wash, and save the remainder of the wash.
Slip the pan(s) into a plastic bag and proof at warm room temperature for about one hour. Meanwhile, preheat the oven to 400F. Before baking, brush the loaves again with egg wash and let rest for five minutes. Bake for 25 – 30 minutes, until the loaves are a deep golden brown color. Those look pretty! I love mahlab. I have Greek friends, they have been describing the beautiful Easter breads they make every year. Kind of puts Hot Cross Buns to shame. 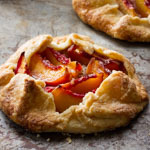 As always your photos and recipes are beautiful and easy to follow. Thank you so much for sharing! My partner has always complained that all the recipes out there are dreadful, and have resulted in one fail after another. This recipe resulted in a wonderful bread. I did however add a tear of mastic to the recipe, as I have used it prior in some cookies, and love the perfume and taste that it imparts upon pastries/breads. 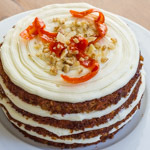 I’m so happy to have stumbled upon this blog, being a baker myself! This sounds wonderful. I love my neighborhood Greek lunch spot, so I think I’ll make this for them as a belated Easter treat. I’m very happy that I found a tsoureki recipe here. In Greece, we mostly make it on Easter, but tsoureki is found in every bakery all year round. Using a stand mixer makes the whole procedure easier, but tsoureki is a traditional recipe that really needs to be prepared by hand. A secret is to use cow butter from which you have removed the water (clarified cow butter). 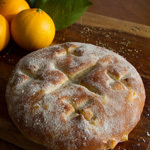 For those who like orange scent, the zest of a whole orange into the dough will definately make you love it! Rub the egg with vegetable oil before placing in bread to prevent bleeding. 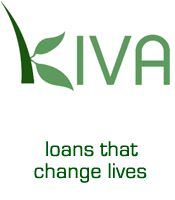 Vasili, great, thank you! I will do that next time. Thanks for the lovely receipy! What I do about the eggs.. The reg dyed eggs traditional to Greek Easter are dyed by boiling vinegar and onion skins (regular yellow onions) in water for half an hour that hard boiling the eggs in the strained liquid. The eggs are than cooled and rubbed with an olive oil dampened cloth for shine and sealing. This method bonds the dye with the eggs much better and will give you the blood red colour of the traditional eggs and not stain your bread! Hi there! You will have better results if you replace a small amount of the sugar with inverted sugar syrup. In Greece, we add the boiled egg only for Easter celebrations. Every other day of the year we just skip it. Powdered Mastic drops are a must too!